Full line of Erosion Control solutions. With or without vegetation. LSC offers a full line of Erosion Control Products that can be installed rapidly at any time during the year. Our patented technology, based on our EarthGuard and Posi-Shell science, allows site managers and operators to protect vulnerable areas for months to years. If seeding isn't desired initially but is required at a point after our Erosion Control products have been installed, they can all be easily incorporated into the soil substrate and will not hinder future germination or root establishment. 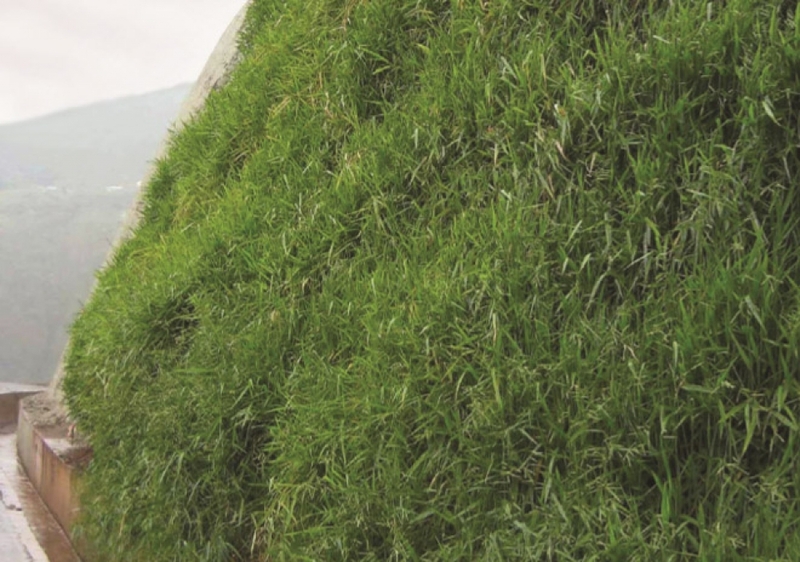 For the strongest Erosion Control Solution on the market without vegetation choose Posi-Shell. 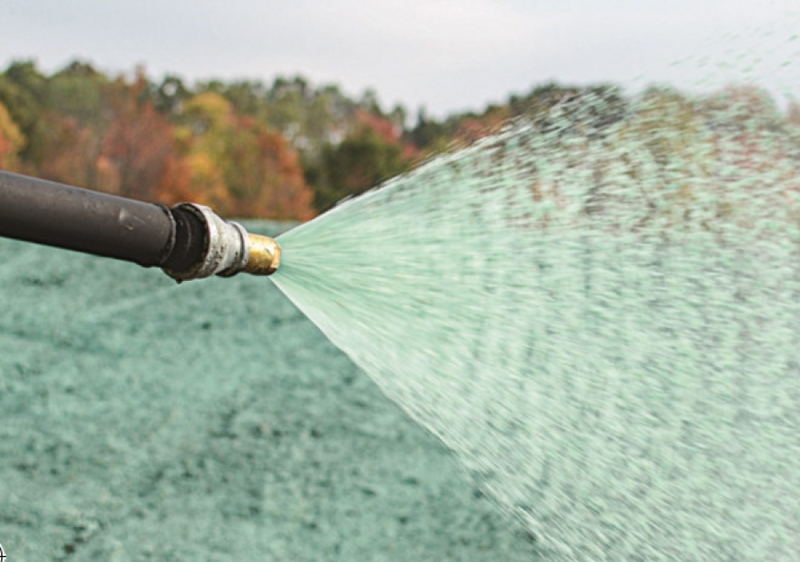 The most economic solution for moderate erosion control and hydroseeding needs. Game changing ease of mixing, application and performance. The natural mineral-based science in Connect provides a user- friendly product that is unmatched in the marketplace. It has superior bonding strength, both seed and soil, compared to other products within this performance category. Connect is simple to pour, requires no manual or mechanical shredding and it will not clump. 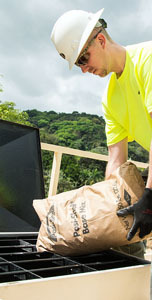 Connect, instantaneously consumes water which allows for its immediate wet-out and creation of a uniform slurry with minimal water and mixing time. 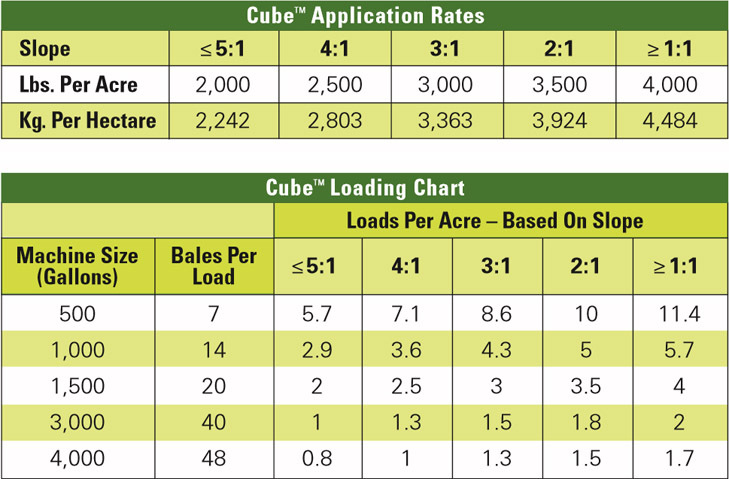 Our one-of-a-kind performance characteristics include the highest loading rates, no slurry separation (even overnight) and increased speed of application to go along with superb ground coverage. It’s truly a game changer! Incredible savings… for increased bottom line! Only 85 gallons of water per 50 lb. of Connect! Increased speed of application and superb ground coverage! Below you can download resources and legal documentation on Connect™ and related products. Use the form below to ask us a question about our revegetation solutions and our team will contact you within two business days. 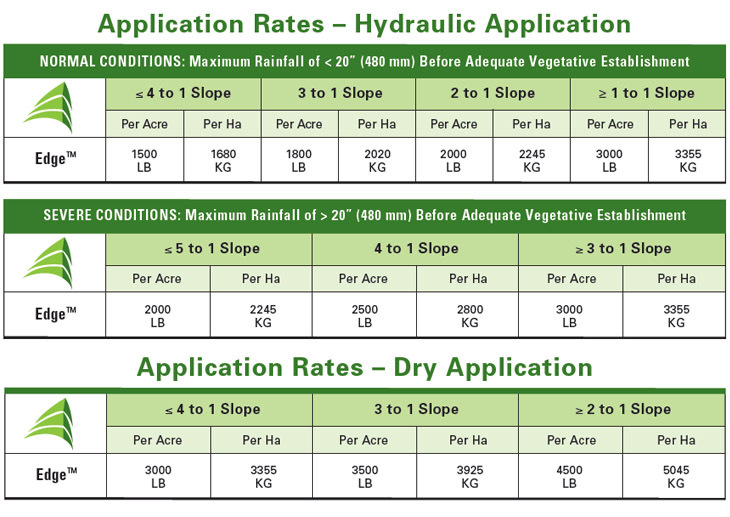 Fill in your information to contact us about the possibility of a product demonstration to see how our revegetation solutions can save your operations time, capital and labor. Connect™ meets ECTC Type 3 standards. 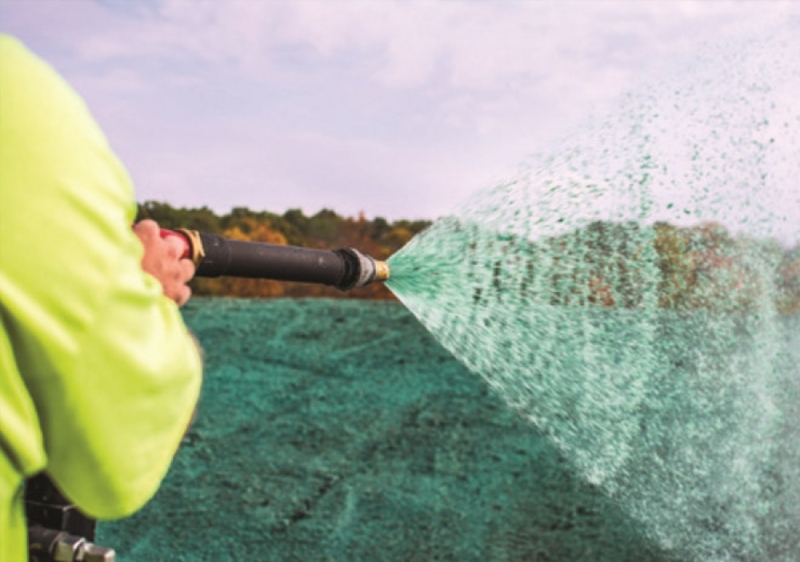 The most innovative erosion control and hydroseeding solution on the market. The natural mineral-based science behind Cube™ provides a user-friendly product that is unmatched in the marketplace. It arrives in a much smaller bale and is easier to handle than other conventional products. It is simple to pour, requires no manual or mechanical shredding and it will not clump. Cube™ instantaneously consumes water which allows for its immediate wet-out and creation of a uniform slurry with minimal water and mixing time. Only 75 gallons of water per 50 lb. of Cube! Load up to 1 ton in a single 3,000 gallon machine! Below you can download resources and legal documentation on Cube™ and related products. 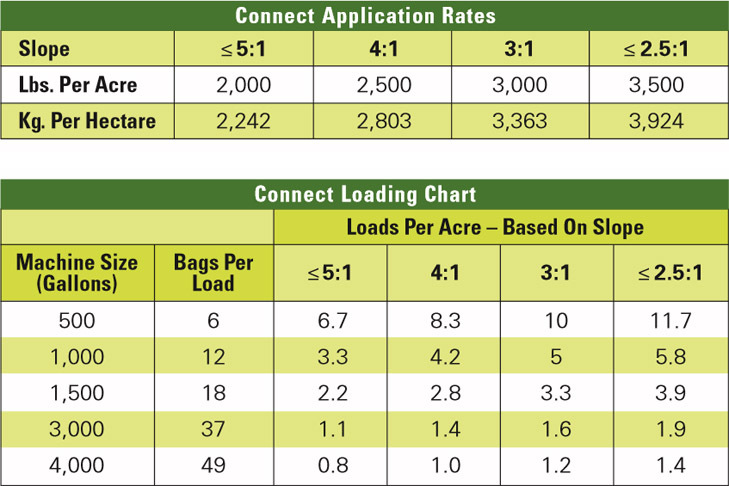 Seed and fertilizer rates depend on regional climate, seed type, soil type, and desired coverage rate. Contact a local seed supplier for local recommendations, or call LSC Environmental Products to help find a supplier in your region. Cube™ meets ECTC Type 4 standards. Water Scarce? Cold Weather? Site Access? No Problem. Now you’ve got the edge. Especially when time, weather, distance and water availability conspire against you. Also, great for manual application on smaller sites when a hydraulic application isn’t cost effective. Apply Manually — for precise application control, or for small or remote coverage areas — apply by hand. 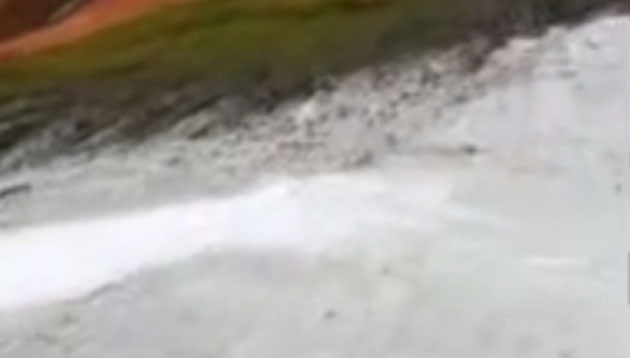 Apply Mechanically — for larger coverage in remote areas with no access to water — apply using broadcast spreader. 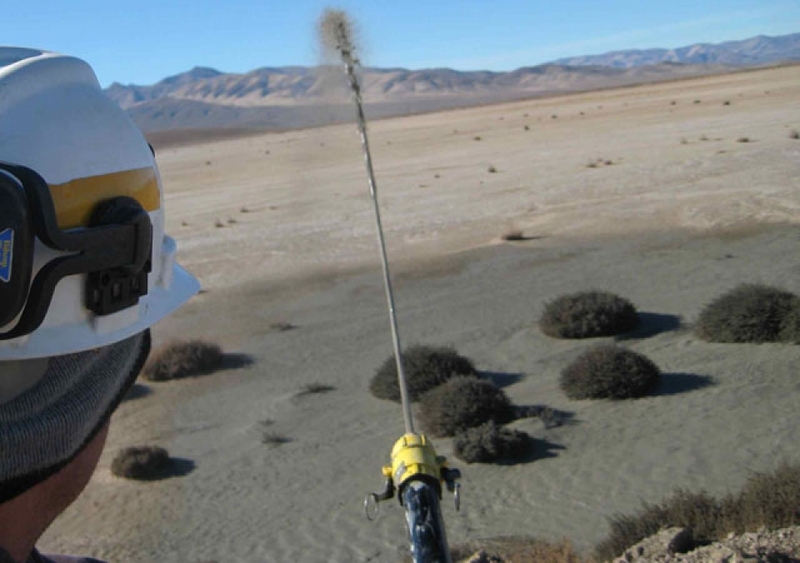 Apply Aerially — fast and cost effective for limited water access areas, including remote sites of any size. Formulated to completely expand within 1 minute in the presence of rain. 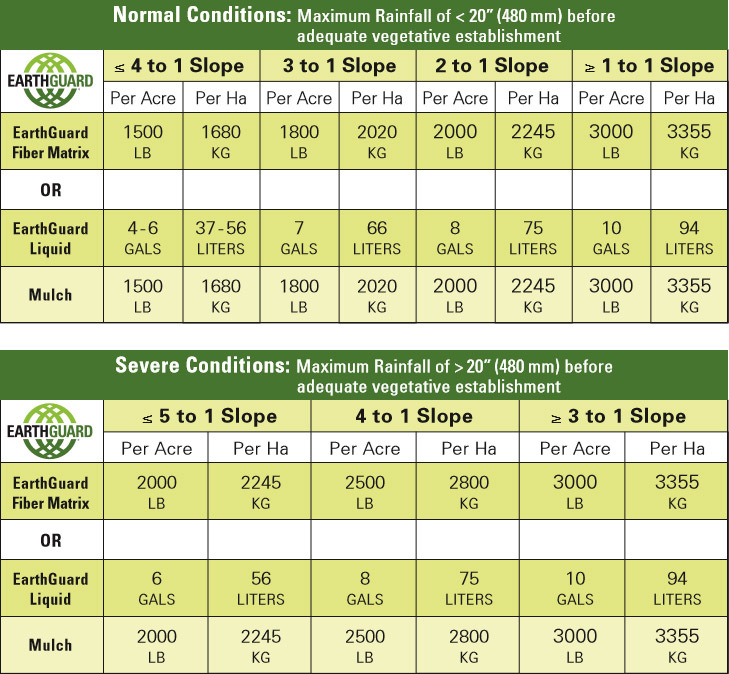 Same great EarthGuard® technology without the water delivery costs. Can be applied in any weather. 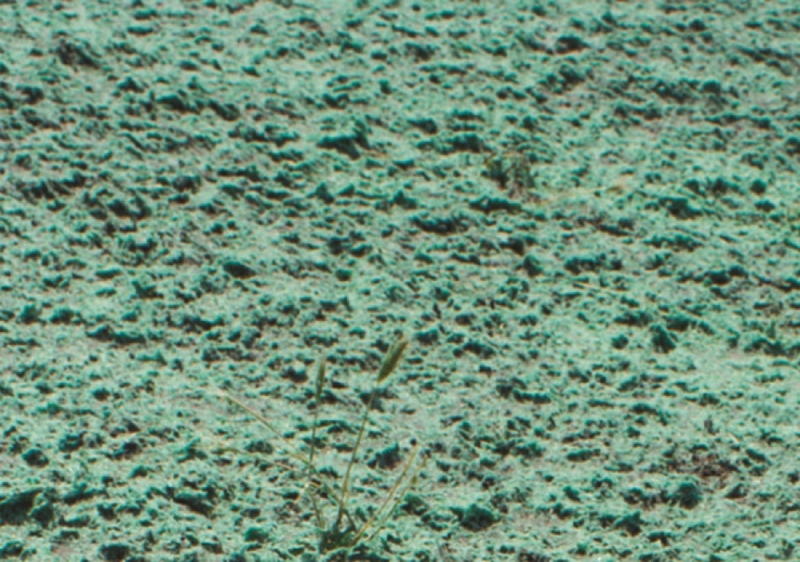 Edge™ is applied in its dry, pellet form. 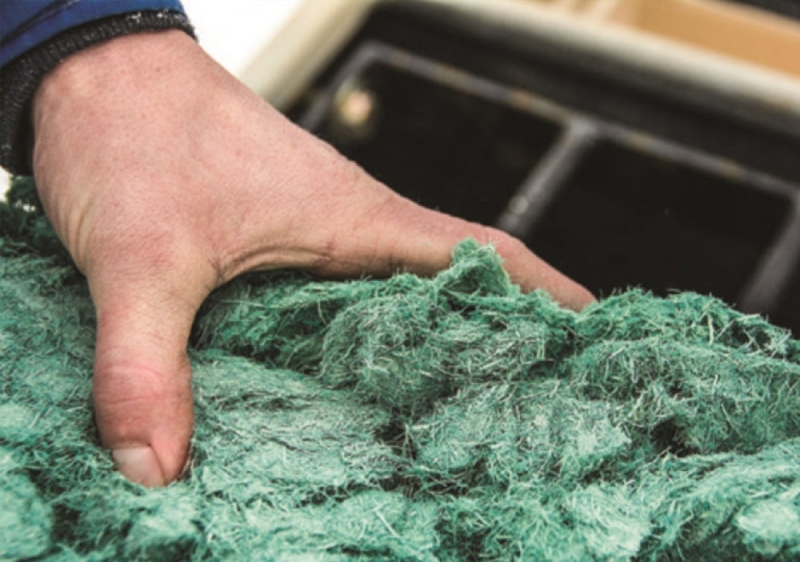 When the site receives its first rainfall, the pellets expand, spreading both the fiber and the EarthGuard® soil stabilizer. Below you can download resources and legal documentation on Edge™ and related products. Edge™ meets ECTC Type 5 standards. Why not go with the best? Use EarthGuard® and get the highest returns on your investment. 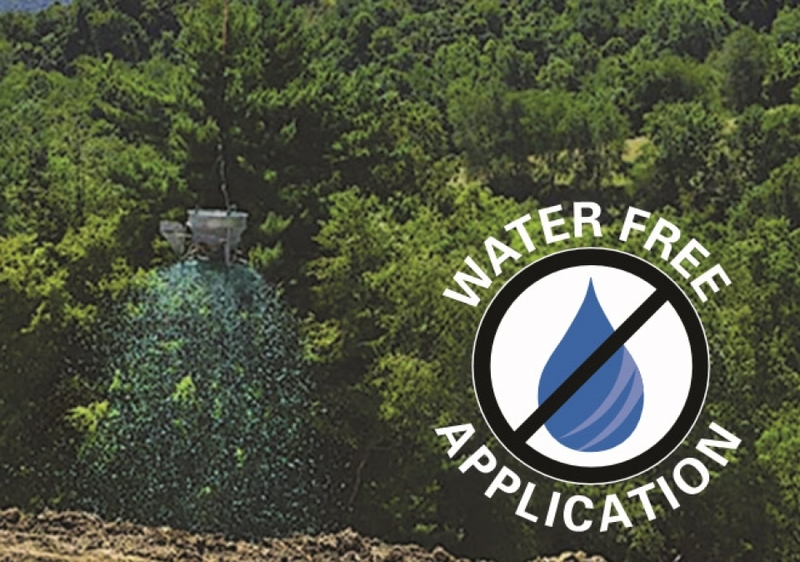 This hydraulically applied, patented technology offers highly rated erosion control along with excellent turbidity reduction and promotes quick growth establishment — all with fast, easy applications and a great price. Two ways to apply. Same great performance. 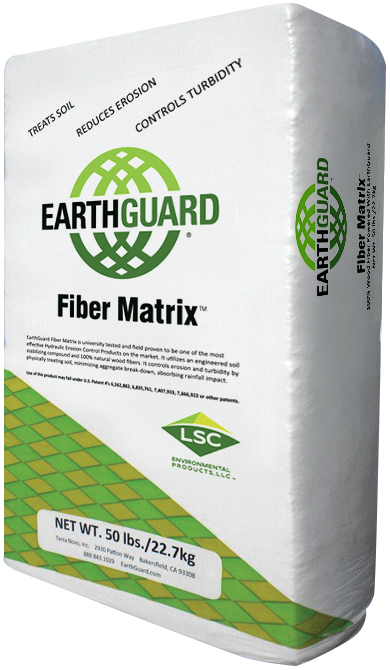 EarthGuard soil stabilizer and 100% wood fiber mulch combined in one easy to use 50 lb. bale. 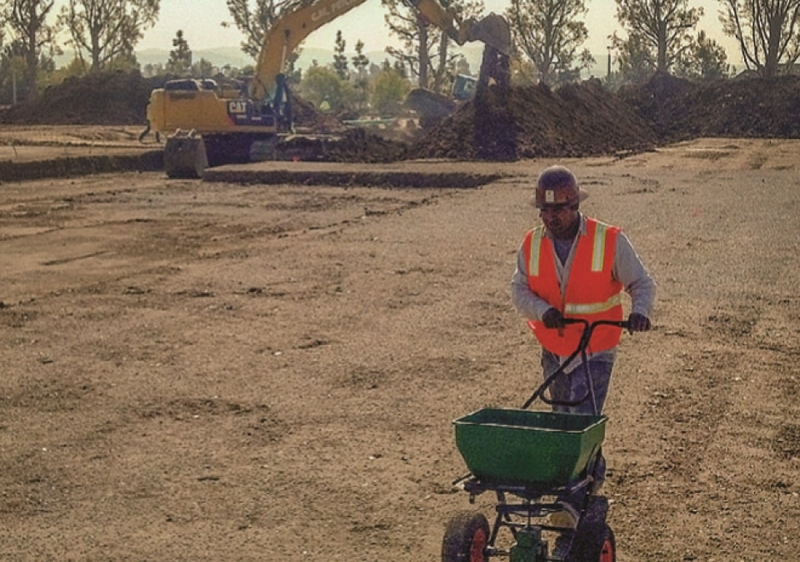 EarthGuard soil stabilizing concentrate — ready to mix on site with the mulch of your choice. Below you can download resources and legal documentation on EarthGuard® and related products. 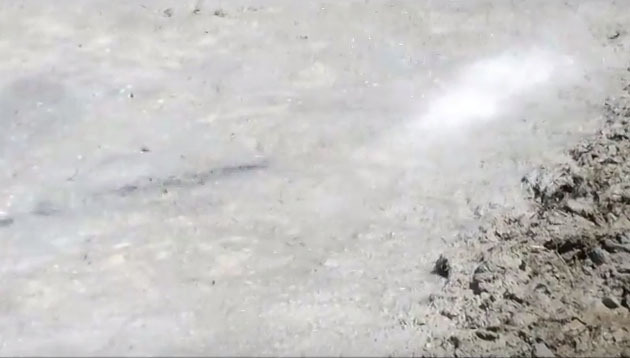 EarthGuard® Liquid can be used for dust control at 10 gallons per acre. EarthGuard® meets ECTC Type 5 standards. 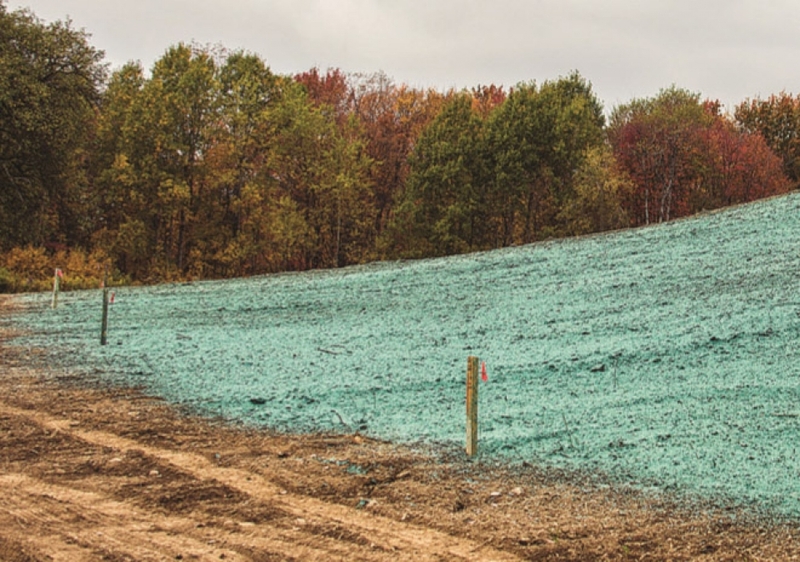 Posi-Shell® is the most effective, cost-efficient and versatile cover system available on the market today with applications ranging from erosion control to hazardous material containment. Posi-Shell®'s innovative formulation enables the addition of durability enhancers to create highly impermeable coatings that dramatically reduces erosion, infiltration, or siltation in a multitude of applications. 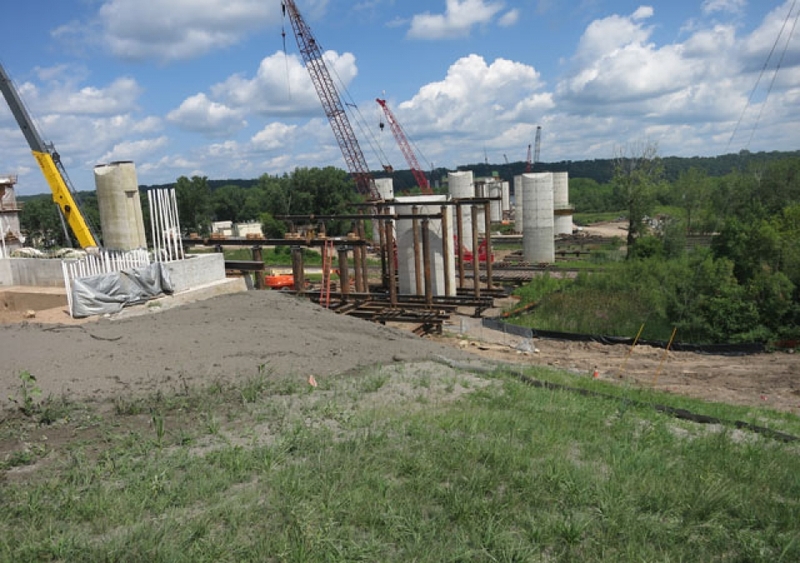 Posi-Shell®’s erosion control coatings give engineers the ability to easily dial in durability specifications by adjusting formulations or application thickness. 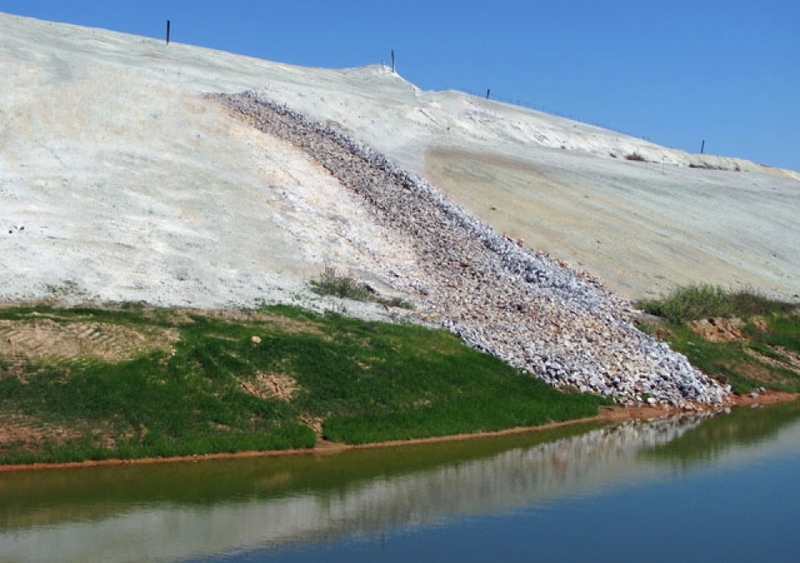 Whether looking to protect ditches, stabilize slopes, cover stockpiles, control siltation, or address any number of SWPPP requirements, nothing can match Posi-Shell®'s performance, cost, design flexibility, or speed of application. Below you can download resources and legal documentation on Erosion Control and related products. Use the form below to ask us a question about our erosion control solutions and our team will contact you within two business days. Fill in your information to contact us about the possibility of a product demonstration to see how our erosion control solutions can save your facility time, capital and labor. Our Posi-Shell® erosion control formulations give engineers and site managers the design flexibility to create highly effective, low-cost channel linings that address the challenges associated with concentrated water flows. Thousands of feet of highly durable lining can be installed per day with a crew of just 1-2 laborers. Unlike other lining systems, Posi-Shell® is easy to maintain and integrates into the soil if a channel needs to be relocated or removed. 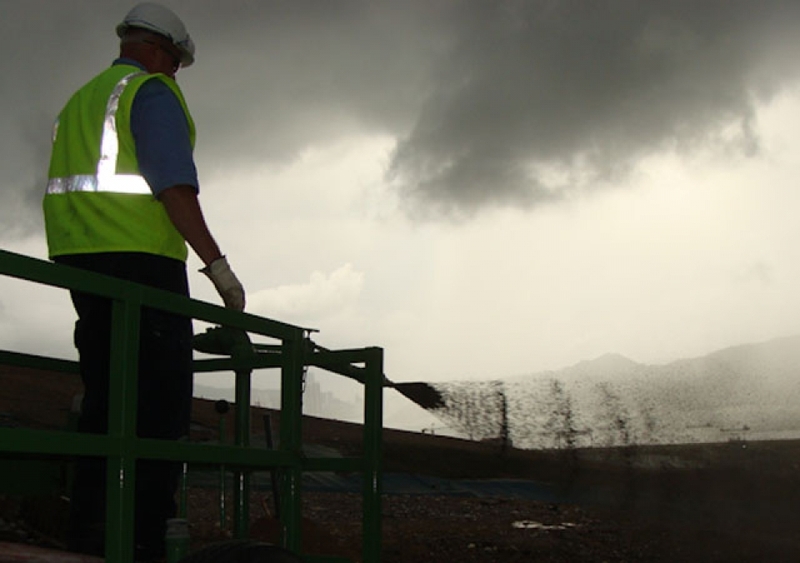 Posi-Shell®’s simplicity and durability makes it tremendously effective at controlling windblown dust, infiltration, or runoff associated with clean or contaminated stockpiles. Unlike cumbersome tarps or geo-membranes, Posi-Shell® erosion control coatings are spray-applied and do not require any ballast. Posi-Shell® conforms and adheres to any topography and delivers clean runoff. 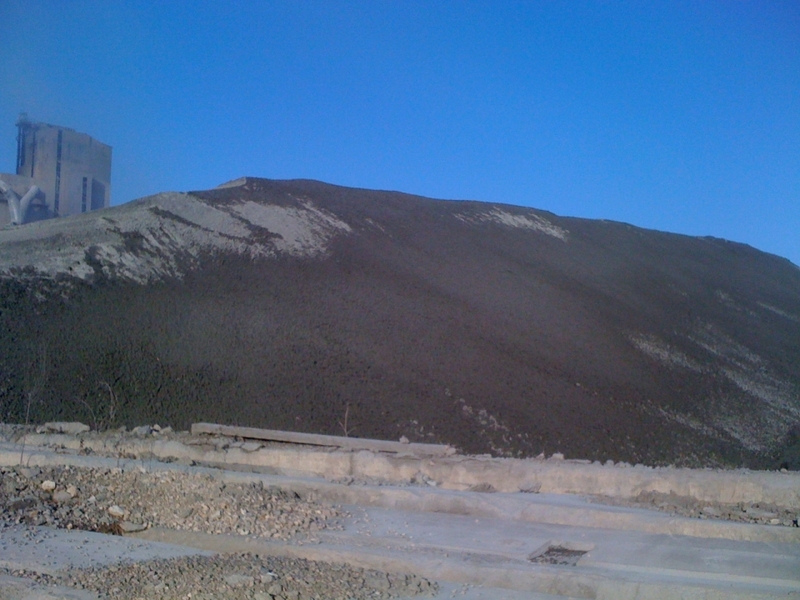 Stockpile loading or removal is accomplished by breaking into the coating where desired. Active areas may be left open or quickly resealed if required. Posi-Shell® erosion control coatings are ideal for protecting expensive piles of salt, coal, or cement clinker; furthermore, these coatings are used extensively for containing hazardous or radioactive soils. 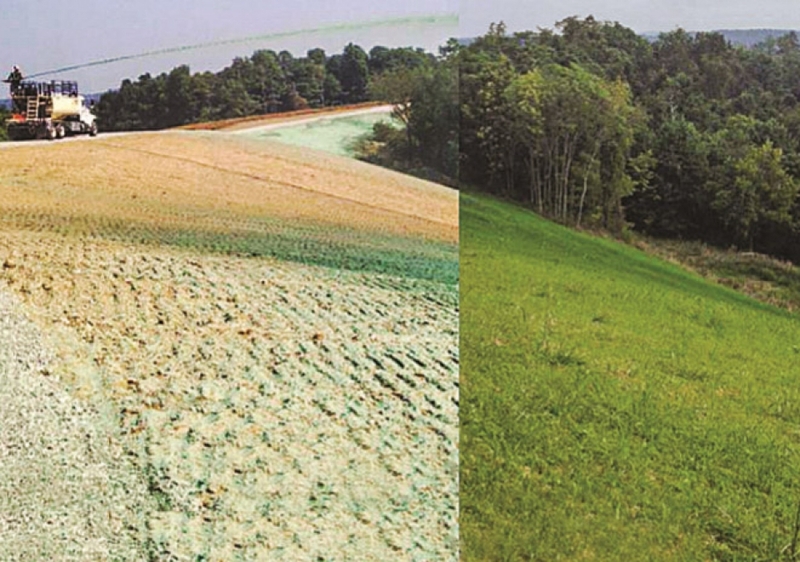 When vegetation is not an option or the seeding season has passed, Posi-Shell® erosion control coatings are the perfect low-cost solution to protect and stabilize slopes. 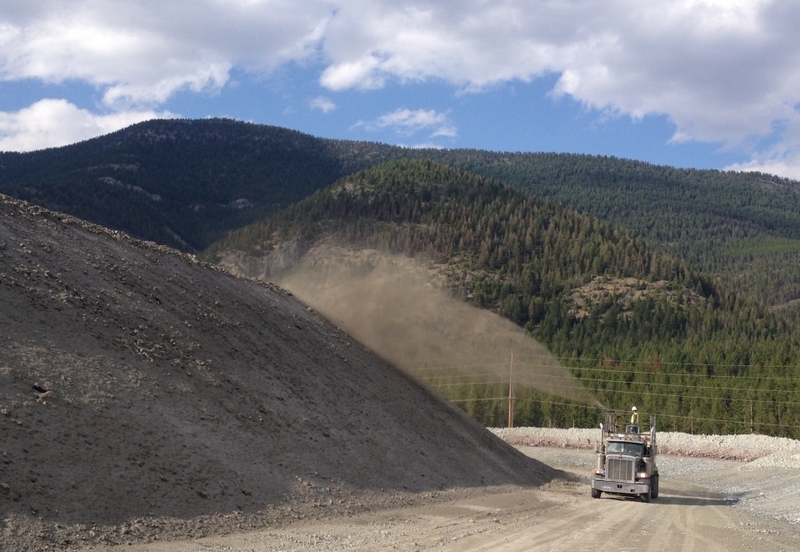 Our long-term coatings are spray-applied and allow engineers or operators to protect acres (hectares) of slope in a single day. The finished coating is durable, as well as textured, therefore slowing water runoff. 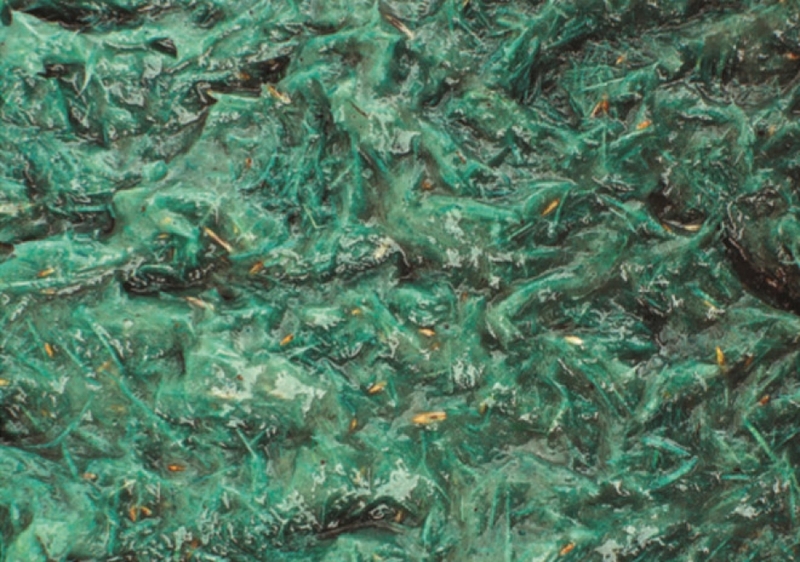 The final product eliminates erosion, siltation, and, as a result, expensive rework. The product can be designed to last for years with minimal maintenance and is easily tracked into slopes when intermediate protection is no longer necessary. 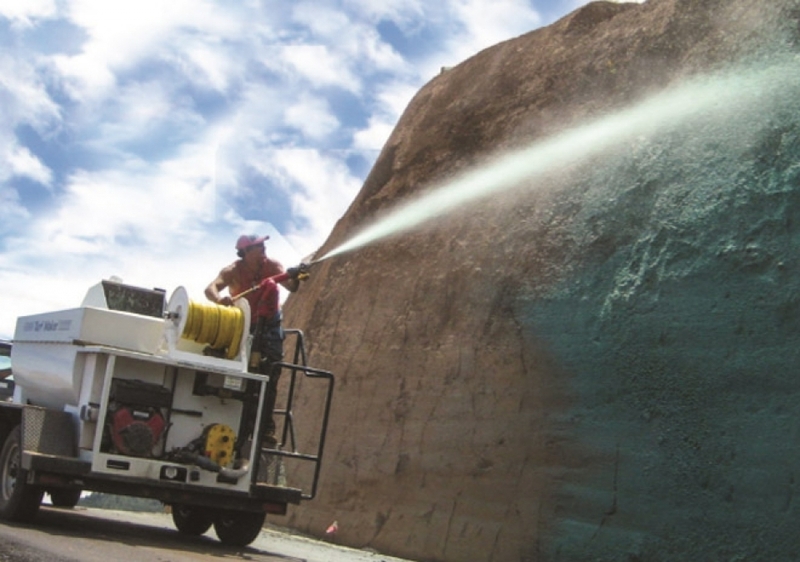 Delivered through any spray application equipment, LSC's suite of products and formulations offers engineers the flexibility to design new, or enhance existing, storm water pollution protection plans. 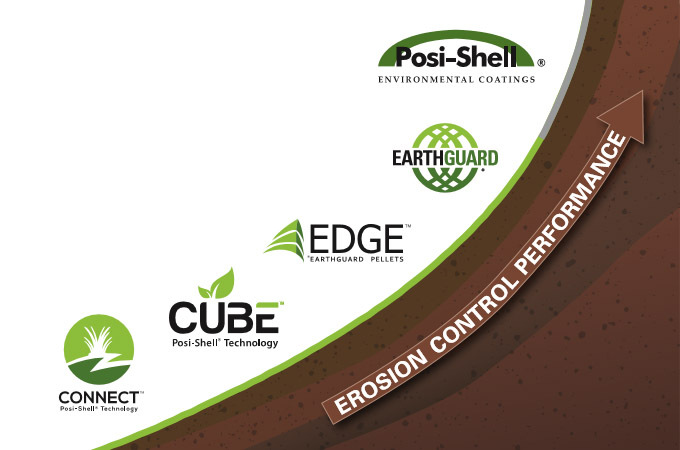 LSC’s erosion control formulation (Posi-Shell®), seeding product (EarthGuard Cube®), and dust control product (Posi-Clear®) are all versatile, low-cost, quick to apply, and meet the most stringent NPDES requirements. Ash produced by wildfire often contains toxins that are potentially harmful to public health and the environment. Prior to appropriate disposal, ash can easily migrate, by wind and rain, to adjacent neighborhoods, or deposit into sensitive waterways or ecosystems. Posi-Shell® is the most complete, effective and cost efficient “primary containment” product on the market. Because Posi-Shell® is spray applied, hundreds of homes can be protected in a single day and workers remain clear of contaminants while coating. Posi-Shell® does not impede regulatory testing or recovery of personal items making it popular with both regulators and home owners. When the time comes for final remediation, the thin coating of Posi-Shell is simply taken away with the debris. 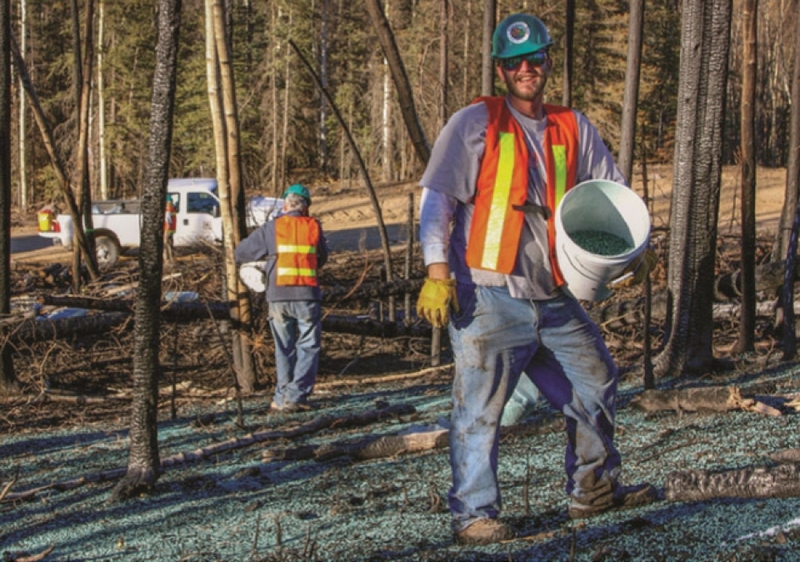 Posi-Shell remains effective for months to years, allowing for a safer and more systematic restoration of areas impacted by the wildfire. 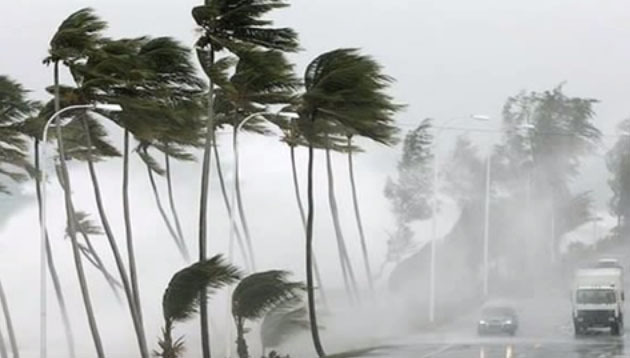 LSC has a national network of installers that deliver unmatched response for virtually any scale of emergency. 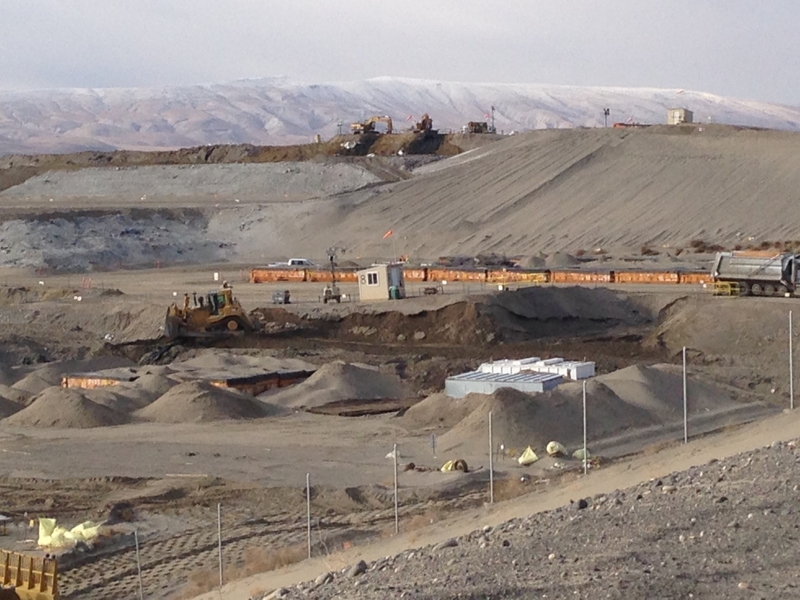 Requiring the strictest compliance protocols, Washington Closure Hanford's disposal facility searched for an economic and effective solution to control dust and debris from radioactive wastes generated at site cleanup projects across the 586 square mile nuclear reservation. Zero tolerance for emissions is expected, meaning no dust or debris can be carried beyond the disposal area. 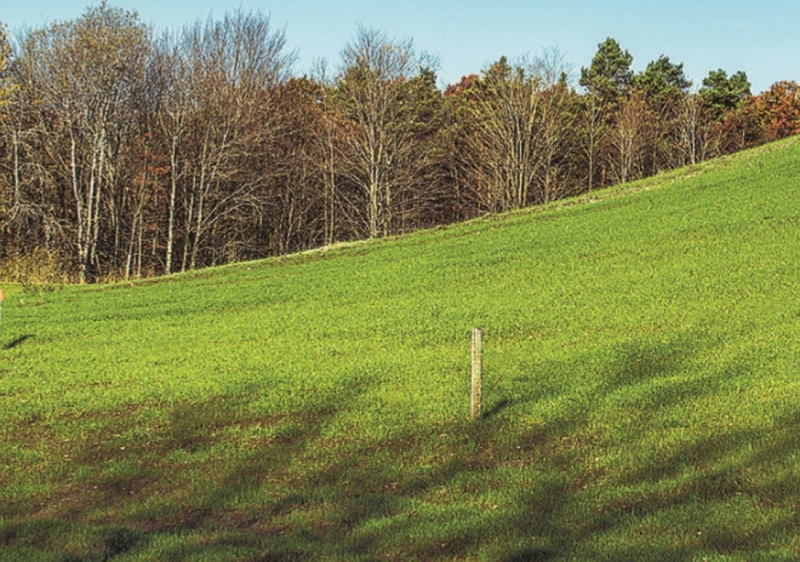 In 2006, Posi-Shell® was implemented to replace traditional soil cover. Since then the contractor, S.M. Stoller, continues to successfully use Posi-Shell® to satisfy all emissions requirements and is also realizing significant airspace savings by eliminating bulky soil cover.